ICA is responsible for leading the LCEF�s Africa programme, and providing advisory support in the LCEF�s donor relations and thought leadership efforts. 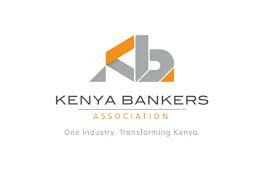 In-country lead in an international consortium of consultants retained by the Kenya Banking Association and financed by FMO and DEG to design and implement a year-long training programme in sustainable finance to member banks with the view to standardizing investment principles across the sector. After undertaking 2 consultancies for WSUP Enterprises to identify investment opportunities in the market place for a prospective WASH fund and to design the strategy for rolling out a WASH fund managed by WSUP Enterprises, ICA has been retained on a long-term basis to provide advisory support as the WASH Fund pilot is rolled out. Hired to develop an institutional strategy plan for increasing flows of investment capital to the early stage social and environmental ventures supported by the SEED programme. Undertaking a research project for ANDE sponsored by the Lemelson Foundation to analyse technology due diligence practices and support needs of the impact investment sector. ICA conducted two business analysis surveys for the AKTCD: a financial feasibility plan for a city park regeneration project, and financial projections and feasibility analysis of a multi-purpose sports facility for the same site, blending paying customer use with those of underprivileged groups in Nairobi. ICA was retained to provide expert underwriting of a proposed $4million USD investment by Calvert into a fuel-efficient stove venture.